Interesting. Wonder how the Nokia N8 will do. And they are proud of their sensor, so I wonder which sensor it has. The Nokia N8 isn't treated as iPhone rival but you're correct, its camera spec looks promising. However, the N8 has a Zeiss 5.4mm f/2.8 lens. And blog article http://blog.gsmarena.com/how-large-is-the-nokia-n8-12-megapixel-large-image-sensor/ does the math and points to a Nokia employee posting in dpreview that the N8 has an 1/1.83" sensor. However, I challenge this. With 5.4mm focal length and an equivalent focal length which is specified to be 28mm, the crop factor is 5.19 and the imaging sensor type is 1/1.92". Note that early N8 EXIF seems to report the focal length as 4.6mm only. This would correspond to a crop factor of 6.09 and a 1/2.25" sensor. The inch quotes use the silly standard convention of 1 inch tube equals a 16mm sensor diagonal ( http://www.dpreview.com/learn/?/Glossary/Camera_System/sensor_sizes_01.htm ). So, it seems that Nokia is overstating the camera spec a bit but that indeed, its sensor is significantly larger than the iPhone 4 one's. Using the official 5.4mm spec, the Nokia N8 would have 10.8 Mpixels of iPhone 4's size. Using the EXIF spec, it would be 7.9 Mpixels. Impressive numbers still but we don't know about the sensor's core performance yet (back illumination etc.). So, the iPhone may still not lead the cell phone camera pack. But it is now close enough to the leaders and I congratulate Apple for not playing the silly Mpixel game. Especially as fewer, larger pixels enable better quality HD video. The entire industry seems to be repeating the information from that original image, with an aperture of f/2.8. The EXIF data from my iPhone4, however reports f/2.4. It's only half a stop, but I thought I'd mention it. @Zandr, that's interesting. Would make it behave like an f/18 35mm full frame camera. I am still wondering why no vendor quotes relevant camera specs and everybody quotes meaningless megapixels instead. If I'm not wrong, an aperture of f/2.8 on any crop factor sensor has the same light gathering ability. An f/2.8 is an f/2.8. Yes, from a DOF and background blur point of view it might act as an f/22 on a full frame camera, but the light gathering ability remains the same. a lens' light gathering ability (for a given field of view) is nothing but it's aperture surface in square mm. Which would be (f/2.8)^2. Insert f and you see that smaller f (because of crop) leads to less light gathering ability. http://www.luminous-landscape.com/essays/Equivalent-Lenses.shtml cares to explain in some more detail. The EXIF data from my photos report f/2.4 and a focal length of 4 mm and low ISO 80. You may grab data from http://iphone4photos.net where I continue to load photos taken under different conditions. My iPhone 4 always reports a focal length of 4 mm and F/2.8. I wonder if different iPhone 4 models have different sensors??? 3.85mm, 3.9mm and 4mm of course are all the same specifications same within zhe given rounding precision. According to Adobe Lightroom and Flickr the iPhone 4 lens is a 2.85 mm (Flickr rounds to 2.9) f/2.8. Not sure how others are getting f/2.4. This was extremely helpful! Didn't want to upgrade my OS just to run the iPhone simulator! The new version of the iPhone SDK requires 10.6.2 and I am on a 10.5.8 box. Thanks again! I get somewhat better results with the procamera app in that I can set the white balance and focus manually, but still not good. Sometimes I'll shoot 20 shots as fast as the camera will let me and get one or maybe two decent shots.....almost always with the performers being still and the light being colored instead of bright white. what you describe is classic for high contrast scenes. You'll have to overexpose for subjects in the dark/shadow and to underexpose for subjects in the bright/sun light/spot lights. So, you need a camera app which allows EV compensation. If you can't find such an app (should exist though), the new HDR function may help too, actually. I can't help you out because I use another camera in similiar situations -- already because of distance to the subject. Thanks for the information. I really wanna know if iPhone 4 can be compared to some P&S cameras. I would appreciate if someone can put up a small comparison with iPhone 4 camera and some P&S cameras. Thank you. I haven't updated to get the HDR function yet (I'm jailbroken). I'll look for another app supporting ev. So does the iPhone 4 have a wider lense than previous versions? The camera does have zoom as a FYI. Not great but significant enough. Biggest advantage to this camera over other iterations is that it has a LED flash which does a great job in low light conditions. The camera has no zoom. The flash LED is great indeed. The zoom slider in the camera APP is nothing but a digital crop. The camera itself has no zoom. what's the use of back-illuminated sensor of iPhone 4 camera? Is it something to do with dark environment? @other readers: please ignore kaigr's comment. @kaigr: I am unfortunate but your knowledge is half-cooked only. There are lens properties and 35mm-equivalent lens properties. And the 35mm-equivalent lens aperture (f-stop) as far as light gathering, diffraction and depth of field are concerned, i.e., as far as any relevant property is concerned, is multiplied by the 35mm crop-factor. Further discussion by private mail only. A lens gathers light proportional to its (entrance pupil) surface (for a given field of view). That's almost too simple to even talk about. And this is no simplification, I say it as a physicist. And because crop cameras have a small focal length (for a given field of view), their lens diameters are small too even if their f-stop is nominally large. This is why the 35mm-equivalent f-stop depends on the crop factor and Kaigr was wrong. Nice article, but I think your conclusion can be misleading to some readers. Although the absolute light gathering ability (and DOF) of the iphone 4 lens is equivalent to between f11 to f22 on a systems camera like you said, f2.8 is still f2.8 on any system in terms of *exposure*. Photographers don't care about absolute light gathering ability, just the relative intensity to make the correct exposure. If f2.8 @ 1/60s @ ISO 100 gives the correct exposure for a scene on iPhone 4, the same aperture, shutter speed and ISO also gives the correct exposure for any camera system at equivalent field of view. It is technically correct to say that the iPhone 4's lens "captures as much light (produces as much noise) as a system camera with a lens aperture between f/11 (FourThird) and f/22 (35mm film)" but that is like saying the iPhone 4's retina display which is 3.5" @ 326 pixels per inch (PPI) is equivalent to 163 PPI (7" display) or 38 PPI (30" display). @Rollin, thanks for your comment but you need to read about lens equivalence more. Don't confuse sensors with displays. You always have to judge things at the system level where a display includes the human eye and a sensor doesn't. Light per area as such has no meaning at the system level. General comment: As the general understanding of lens equivalence seems to be poor and this blog article is not meant to discuss it, I'll delete all subsequent attempts to discuss it. Rather send me an email if you have trouble to understand it. @Falk Lumo, I don't see your email address posted anywhere so I'll just make one last comment. I don't mean to say that you are wrong, it's very informative in fact... i agree about the DOF, diffraction and noise... I've also read the luminous landscape article. Like the comment made before me, the f-stop in terms of exposure (iso/shutter-speed) doesn't change WRT to sensor size. I'm sure you understand this, but I just thought your article might confuse readers to think otherwise (I think it has, judging by the comments)... that's all I'm trying to say. Rollin, there is f-stop and equivalent f-stop (like there is focal length/equivalent focal length and ISO/equivalent ISO). Anybody who compares absolute (i.e. non equivalent) numbers between systems of *different* sensor sizes creates the confusion, not me. You either keep ALL numbers absolute, or ALL numbers equivalent. Don't mix'em like you propose. And if the sensor size is an uncommon one, ALWAYS use equivalent numbers as the absolute numbers mean nothing. The exposure would still be correct when using the equivalent triplet. 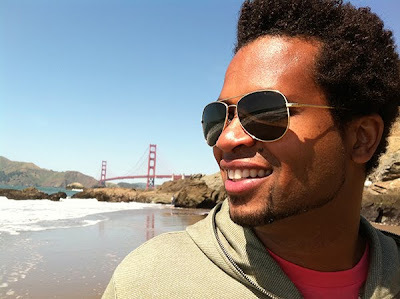 BTW, my email address can be found by following the link to my home page. Very interesting post, thank you very much indeed! Just a question. If someone would like to buy a camera which supports 1:1 aspect ratio and has better results from iphone 4 w/ Instagram at night/low light, which one would you recommend? Thank you. @zibelum: I would ignore aspect ratio crop and effects like from instagram. These are better added after the shot, like in the dark room in the old days of film. Your ticket to night photography are knowing how to do hand-held wireless flash, large lens diameters (normally only available for large sensors), noise reduction software (as in Adobe Lightroom 3 or Topaz), and shake reduction (either optical or sensor shift). I couldn't agree more. Pentax K-5 it is then. Thank you mate! However, because of the fact that I'm not looking for something that fancy. I'm into point and shoot at the moment. I need a camera for this job; a camera that I could carry almost everywhere. Less than $500. Any recommendations? @zibelum, if it MUST be a P&S, I would look into the Lumix LX5. However, a dSLR like the Pentax K-x has almost top notch low light performance and is under $500 too. And with a 40mm prime, is amazingly small (almost pocketable (with larger pockets) but jumps above $500). A micro-FourThirds like Olympus E-PL1 fits the price target as well but only outperforms the LX5 for chroma noise (not the more important luminance noise). OTOH, if you invest $500 for any interchangeable lens camera and you already pass my blog, be prepared to spend more money for lenses. So, you may want to consider the entire system before taking any decision. Isn't it amazing that you can take photos using your iphone and it gives you a very good result. No wonder that people are now excited with the coming iphone 5 which will be out this year. Apple fans were desperately looking forward for the next iphone i.e. iphone 5 to get launched at WWDC but it didn’t appear in the conference held in San Francisco on June 6. There is no doubt that this delay in the launch of iphone 5 will be Android’s gain. I need a camera for this job; a camera that I could carry almost everywhere. Less than $500. Any recommendations? I couldn't agree more. Pentax K-5 it is then. Thank you mate! 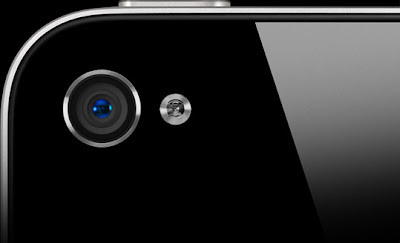 I'm curious if you can do an in-depth break down of the iPhone 4S camera and compare it to the iPhone 4 camera. Very informative analysis that you have provided. Like anonymous(not sure how he expects to get a response ) I would be interested in seeing the same analysis for the iPhone 4S camera. I see the interest in an analysis of the iPhone 4S camera phone. Better: better sensitivity to light per CMOS area, more pixels, possible better optics. Worse: smaller sensor (some 15% less surface if I am not mistaken) and a field of view which is less wide (35 rather than 30mm equivalent, possibly due to the smaller sensor). So overall, it would be a tie and I hesitate to publish a premature blog article. I need to know more. E.g., the improved full well capacity of the new sensor could be a very strong feature allowing to capture much more dynamic range in good light. But this has to be measured actually. So, I know this much: The iPhone 4S camera is very interesting. f it is better than the iPhone 4 one's, I don't know (yet). Hi Falk! Excellent post. Do you have the data for the other iOS devices as well, or do you know a table which lists pixel or sensor sizes for all iPhone generations, the iPod Touch and the iPads? What i would like to know is how it compares to the short-lived (but still mine after 2 years) Sony Satio with its 12.1MP !! I need to know more. E.g., the improved full well capacity of the new sensor could be a very strong feature allowing to capture much more dynamic range in good light. But this has to be measured actually. The dpi number in JPGs is completely meaningless, just ignore it. The number of (sharp) pixels is all what matters. For great sharpness (which assumes 240 dpi (240 ppi actually) on the printing side) you can print up to 8" x 11" (roughly A4 paper size). You can print larger, e.g., A2 at 120 dpi which is still sharper than most LCD monitors. But it wouldn't look as sharp anymore if you approached the print too much (which you normally wouldn't do with large prints anyway). I would say that the iPhone 4's 5 megapixels are enough for about any printing application except maybe a double page magazine feature. I am sorry to say that I don't know. Most likely not. I am saying this because what you can do with an iPhone is determined by the iOS API, i.e., all camera apps out there are doing more or less the same thing and for a reason. And AFAIK, stacking is not offered by anybody. Moreover, I am wondering what the max. magnification is like.